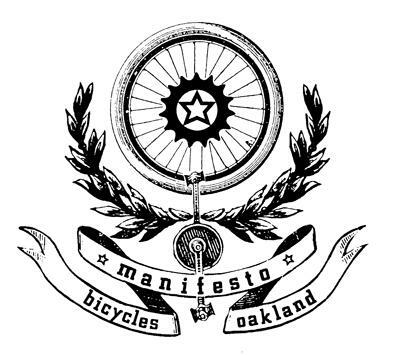 by Terri Saul To list all Bay Area bicycle friendly businesses, one would need to employ a device used by Jack Kerouac – the scroll. Area leaders who care about cycling also tend to care about liveable neighborhoods, being design-minded and creative, and getting things done through grit and gumption. Plans and profits don’t suffer in the process. The winners not only meet the basic EBBC criteria such as providing secure bike parking, EBBC maps, pre-tax bicycle commuter checks, and discounts for cyclists. They also celebrate Bike to Work Day every day by encouraging lunchtime rides, showering at the office, conducting workshops, promoting safety, and including spandex as a new option for casual Fridays. Calthorpe Associates, an urban planning firm with a focus on walkable, bikeable communities, is the winner in the small non-retail category. 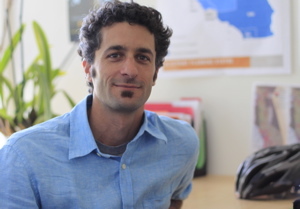 “The majority of our work right now is specifically oriented toward climate change,” says Joe DiStefano, principal at Calthorpe, founding firm of Congress For the New Urbanism. Innovative Interfaces, a library software company based in Emeryville, is the winner in the large non-retail category. Gene Shimshock, vice president of marketing, says, “We are the second largest employer of librarians in the state. They are a very socially aware group.” Among other benefits, they supply a large covered bike cage that is often full. They also participate in the commuter check program. “Innovative doesn’t deduct this money from our paychecks,” Andy Cohen, 49-year-old software engineer says, “they just give it to us – free money.” Andy rides his bike to work five days a week. On non-rainy, non-cargo days, he rides a tinkerer’s dream, a rowbike, literally a rowing machine on wheels. “If I didn’t ride to work, I wouldn’t get any exercise at all,” he says. “I really appreciate how Innovative removes the barriers to doing that.” Andy, also fifth place winner in the geared bikes with trailers category of the Supermarket Street Sweep Race, appreciates all that EBBC does for bike commuters, “allowing people to have fun, exercise, save money and keep the environment clean.” When asked about his priorities, Andy says, “If it weren’t fun, none of the others would happen.” Each winning company will be featured in a press release, receive an award certificate from the East Bay Bicycle Coalition recognizing their company as an official “bicycle-friendly business,” a membership in the East Bay Bicycle Coalition, and an EBBC bike commute starter kit that includes bike maps, bike lights, stickers, bicycle lapel pins, EBBC newsletter and more. Congratulations to the 2010 Bicycle Friendly Business Awards winners! The Runners Up… Safeway Corporation is participating in Bike to Market Day and they provide bike lockers, showers and their fitness center creates activities that include the use of the bike outside of the fitness center. They also provide generous donations to Bike to Work Day. “I’ve worked for Safeway for over seven years and I’ve seen how the Company has moved from nothing to becoming a national leader in advocating fitness and being environmentally friendly.” says Bob Riley, National Pricing Analyst for Safeway. We now have showers, bike lockers, and casual dress days that combine to make biking to work easier. Moreover, the Company culture has changed to make fitness something that is ‘cool’. The physical changes to make the Company were rather simple, but the cultural changes really showed that the Company is bike-friendly.” Sun Light & Power is most definitely a bike-friendly business. “We have two large bike racks for employees, two bike workstations complete with tools, and give bike maintenance workshops so employees know how to use all those great tools. Last year they were #3 in their class for the bike to work month competition.” says Ben Bachelder. Alta Planning & Design is a national leader bicycle and pedestrian planning, and they practice what we preach. 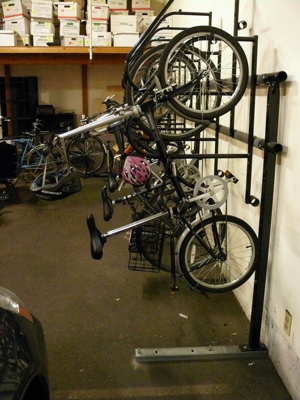 Alta replaced two of its garage parking spaces with a bike rack for 11 bikes. 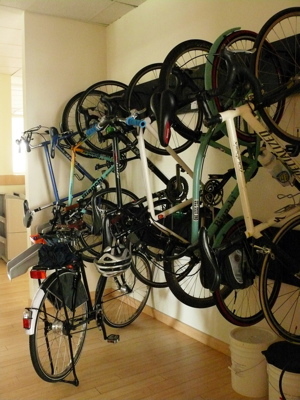 After their bike ride into work, employees have access to showers, lockers and a sauna. While taking a break from work, employees can read Alta paid subscriptions to Bicycling Magazine, Bicyclist Magazine and, of course, the EBBC newsletter! 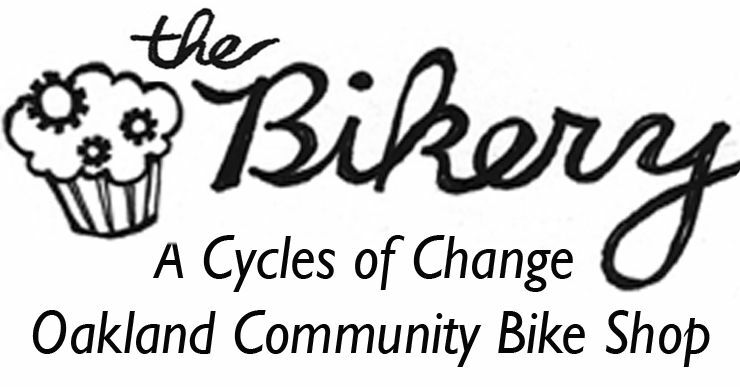 Alta employees also enjoy a $125 annual benefit for bike tune-ups and the option to maximize their annual bonus amount by putting the pre-tax amount towards the purchase of a new bike. Alta also has a company membership to City Car Share, which allows employees to bike to work, even if they need to use a car for field work or client meetings. “But it’s not just the benefits that make Alta bike friendly. 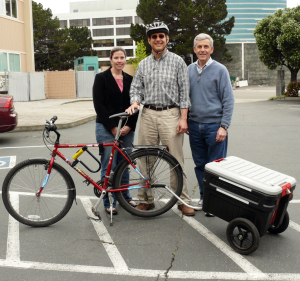 Employees volunteer at the downtown Oakland Bike to Work Day and Alta donates one to five percent of profits to sustainable transportation causes too!” Bruce Wolff explains. 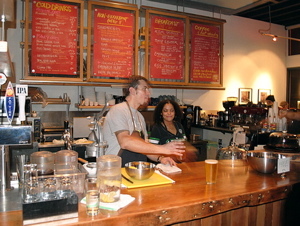 StopWaste.Org supports their bike commuting employees and visitors with a large indoor bike parking area which is conveiently near the front door. The bike rack holds six bikes and is easy to lock to when you bring your own lock. There is also a shower room and large ground-level restrooms nearby.